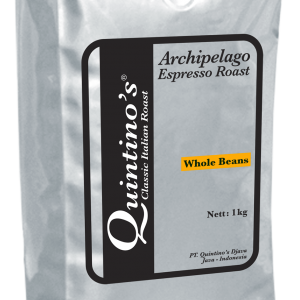 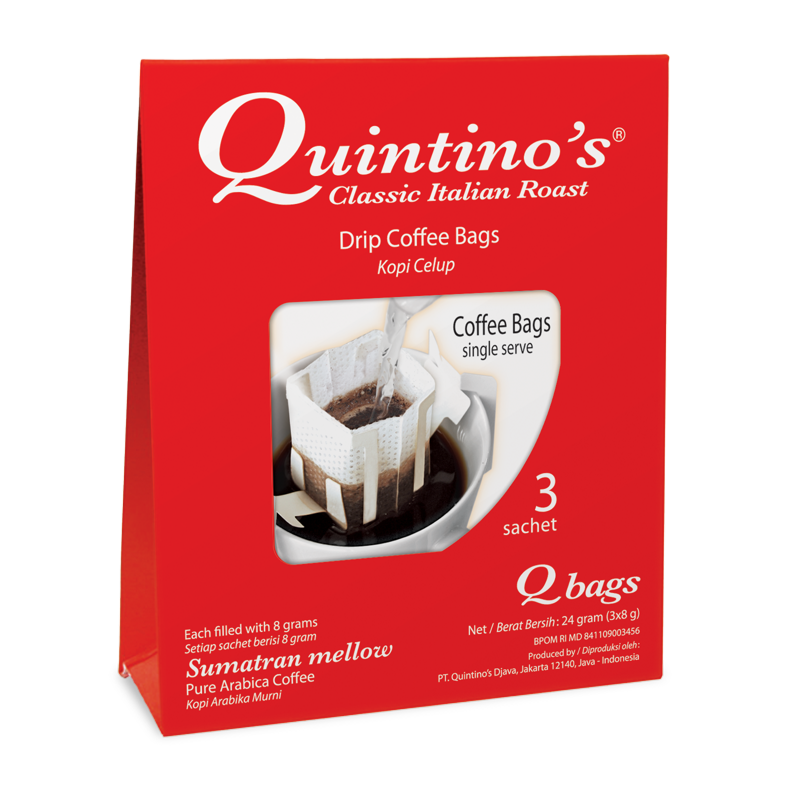 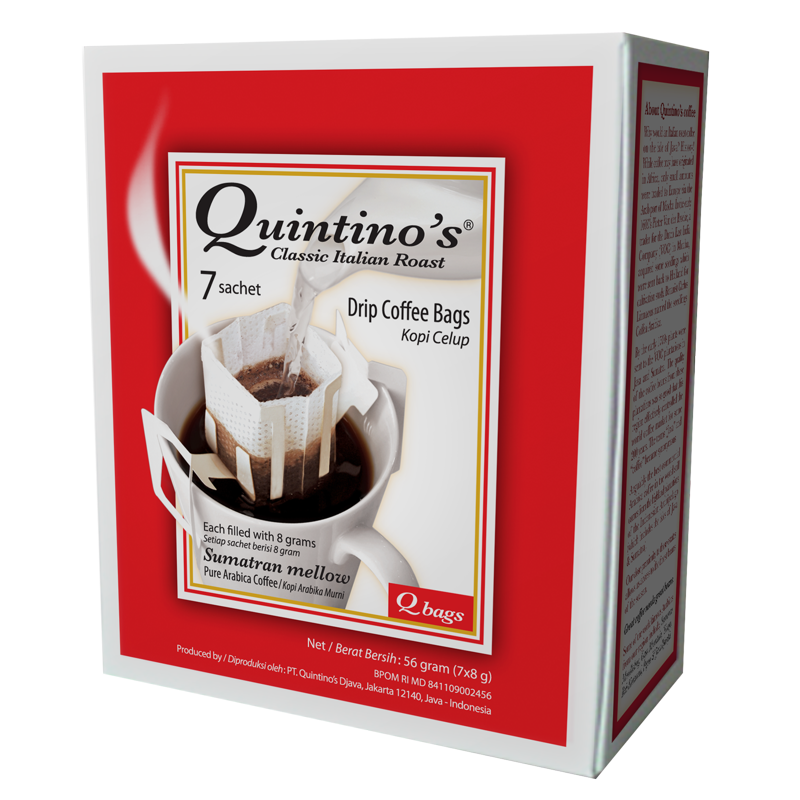 Qbags are Quintino’s innovative contribution to enjoying great coffee. 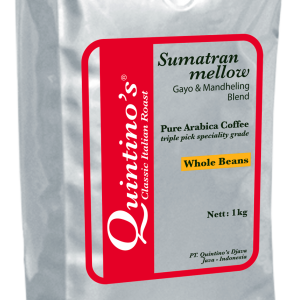 Filled with our “Sumatran mellow” Arabica coffee, these single serve bags brew a fresh cup every time. 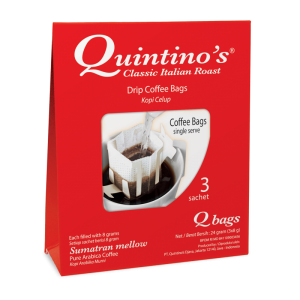 Just open the bag, hook it on to a cup, and pour freshly boiled water through the filter.